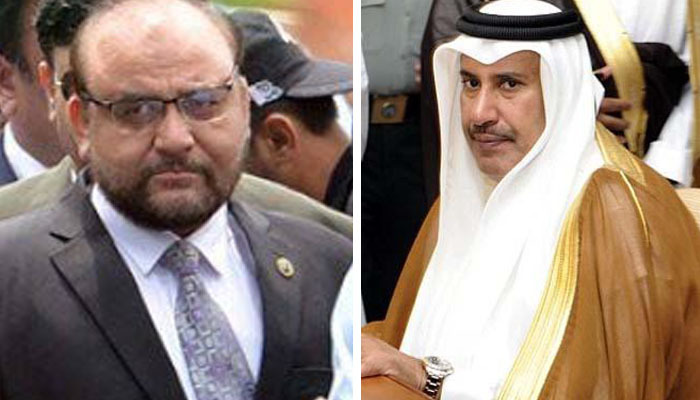 ISLAMABAD: The chief of Panama Joint Investigation Team, Wajid Zia, revealed on Thursday that the probe body could not decide on the matter of sending questionnaire to Qatari Prince Sheikh Hamad bin Jassim bin Jaber Al-Thani. The JIT head was testifying in the accountability court in Avenfield reference against Nawaz Sharif and his children. Zia told the court that when the Qatari prince asked the JIT during the Panama probe to first send the questionnaire to him, the members of the investigating team could not come to the consensus in this regard. The matter than was then forwarded to the Supreme Court’s Panama implementation bench for advice, he said. The SC Registrar than called him up and told that this is a sensitive matter and that the JIT should decide on its own, Zia added. On Wednesday, the JIT chief who was termed a star witness by the prosecution in cases against Sharifs, admitted that from the sale of Gulf Steel Mills in 1980 to investment with the Qatari royal family and resultant settlement in 2006 for acquisition of Avenfield Apartments and setting up the Al-Azizia Steel Mills in Saudi Arabia, neither the JIT has any documentary evidence nor any witness deposed before the JIT that former prime minister Nawaz Sharif has any role whatsoever in all these deals either as a beneficiary, shareholder or director of any company. Wajid Zia admitted before the court that he, as a head of the JIT, got no document to prove that the title of Neilson and Nescol companies (owner of Avenfield Apartments) at any point of time remained in the name of Nawaz Sharif. Legal counsel for Nawaz Sharif, Khawaja Haris Ahmed, posed a question to Wajid Zia that did Mosaic Fonesca, the law firm in Panama, and British Virgin Islands (BVI) authorities ever told him that Nawaz Sharif was the beneficial owner of Neilson and Nescol, to which Wajid Zia replied in the negative. Wajid Zia said that Mosaic Fonseca was a law firm and a registered agent for Neilson and Nescol companies under the BVI Act 2004. The counsel then posed another question whether Mosaic Fonseca told him that the two companies had any nexus with Nawaz Sharif? Zia replied that the JIT did not contact Mosaic Fonseca directly.